I thought about writing this article so it guides you through a flawless SharePoint migration. Follow these steps for migrating site collections, and you'll avoid the headaches that come with doing it wrong!Here are the steps to avoid the headaches if you wrongfully migrate site collections. First of all, SharePoint is a big and complex beast and you surely want to ensure you have all the proper rights to tame it. That’s the reason why we recommend you to possess the Site Collection Administrator rights on your source Site Collection. In that way you’ll make sure to get the predictable behavior through all the copy steps. Now let’s have a look at your destination Site Collection. What has been recommended regarding your source, of course, applies to your destination too. Consequently, please make sure Site Collection Administrator rights are also granted to you on this side. Also, if no destination Site Collection has been created yet, it is now the time to have fun creating one! Once the site collection is created and the permissions are right, we can now start enjoying what Sharegate offers you. Migrate site collections with Sharegate (a step-by-step approach). First thing you’ll probably like to know when you have to migrate site collections is if you have any unresolved users at your destination. With that information in hand, you’ll be able to map those missing users to others who took their place or activate any necessary users. Using the ‘Copy Site Objects’ tool, you’ll be able to select all your users from your source top level site and copy them to your destination top level site. 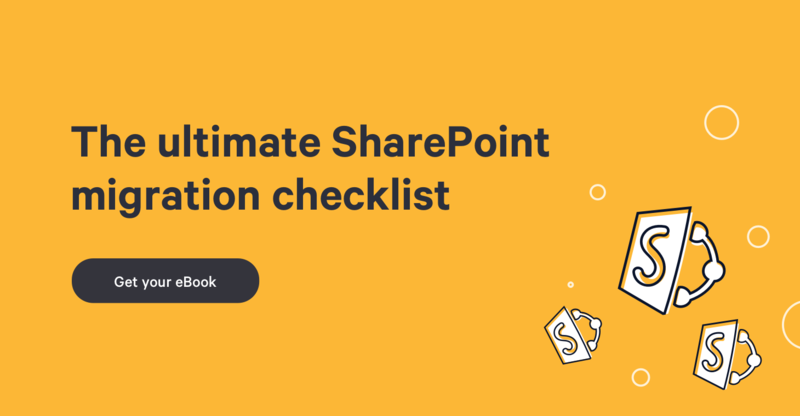 Once the operation is completed, simply have a look at your SharePoint Migration report: all the unresolved users will be displayed as errors. What’s now to be taken care of is all the mappings. This simple yet essential step will allow you to avoid plenty of errors and warnings during your migration. Further on, you can map your site templates. Why would you like to do so? Well, when you’re migrating between two different versions of SharePoint, some elements might be deprecated or discontinued, notably site templates. Setting a default site template for Sharegate to fallback to will surely help you migrate your whole site collection and overcome these changes. Finally you can also go ahead with permission level mappings if necessary. If you had any custom permission level at the source that you would like to remap to built-in permission levels, this is the time to do it. Once all your mappings are done, next step on our check list is for you to migrate your Term Store (very useful if you are migrating to a completely new environment). To get your Managed Metadata migrated, simply use ‘Copy Site Objects’ tool and select ‘Managed metadata’ in the Navigation pane. However, before starting this operation, please make sure the Term Store Administrator rights are granted to you. Finally, here’s the ultimate step (and the one you’ve been looking forward to achieve): the copy of your site! To do so, simply click on “Current Site”, select your site and Voilà! Let the migration run. Within the Copy options window which will be automatically prompted when clicking on the ‘Copy’ button, you’ll be able to select all the elements you would like Sharegate to copy over to your destination site. One thing I would like to bring to your attention here: if you check the ‘Custom Permissions’ checkbox, it will automatically overwrite all the permissions you’ve previously set at your destination. So even if you’re merging your current site to your destination site, permissions won’t merge, they’ll overwrite those you’ve previously set. Once the operation is completed, you can simply click on the hyperlink located at the top of your Destination window. But be careful…you’re only one click away from being totally amazed! For more information on this subject, check out How To Migrate multiple SharePoint Site Collections or this video of Benjamin Niaulin that explains how to migrate site and site collections.